All good things must end and so has Easter weekend, which each year houses a massive convention for anime and other similar interests, the event: Sakura-Con 2016. One of the largest anime gatherings in the USA happens annually at the Washington Convention Center, located in the heart of downtown Seattle. The weekend-long event works in conjunction with nearby hotels to accommodate those from out-of-town for a weekend of maximum enjoyment. Each year the anime convention brings together a large selection of anime companies as well as well-known talent. Long time voice acting talent Chuck Huber, (some may know him as Android 17 from Dragon Ball Z or Austria from Hetalia, among others) took the role of MC during the opening ceremonies on the first day of the con. Kyle Herbert known for playing Kamina in Gurren Lagann and in more recent years, Ryu of the Street Fighter series, held an autograph signing with other voice actors early Friday afternoon. 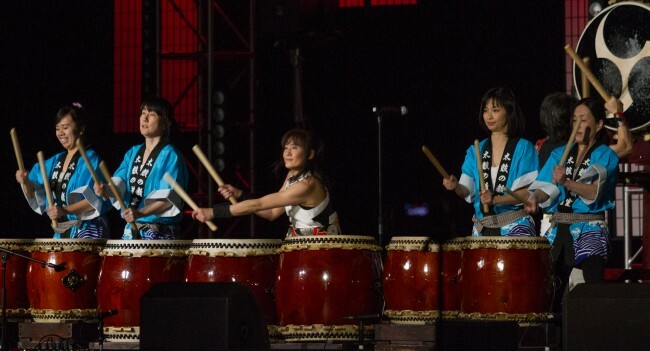 For Sakura-Con, it is tradition to have a band from Japan take to the main stage, last year it was GARNiDELIA, this year BAND-MAID debuted in the United States Saturday evening when they rocked the main stage. BAND-MAID is a hard rock, all female group from Tokyo Japan, all five of the members wear cafe maid outfits that reflect their own personality. Cosplay is a huge factor for those attending the convention, in fact, many would say the majority of people at the convention are in costume. As it is such a big component of the event, sexual harassment and personal safety rank very high on the priority list for the staff. In addition to “Cosplay is not consent” signs being throughout the convention center, security is ubiquitous and fast to act on any assailants. Additionally, gender neutral signs designated safe bathroom space for those that wished it. While the annual anime convention does host theaters running anime nonstop, they also house a large amount of video games to play. The convention hosts a number of arcade cabinets that run for free during the entire length of the event. Additionally, the game room runs free tournaments for games such as Super Smash Bros Melee, Street Fighter V, and even a surprise tournament: Darkstalkers 3. The video game tournament room also houses a large amount of consoles that attendees can check out and play on throughout the weekend. Similar rooms exist solely for retro games or non video games, such as mahjong or an array of trading card games. Sakura-Con is a safe and comfortable place for people to get together and discuss their favorite works, meet new friends, and make memories that will last a lifetime. 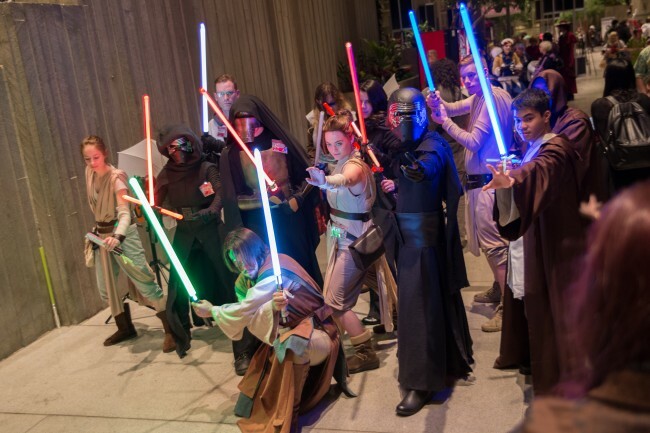 Whether looking for a dance party, a place to test skills, or stunning merchandise, Sakura-Con is open to all during Easter weekend every year. Weekend passes for the event can be pre-purchased far in advance for as low as $40, or at the con anytime after it opens for $70 (with discounts on kid tickets). Sakura-Con 2016 has come to a close, fans have a whole year to plan out their new costume ideas, discover new shows, and reminisce until next year’s Easter weekend. The eighteenth year of Sakura-Con has been a huge success and done Seattle proud. One Response to "Sakura-Con 2016 Does Seattle Proud"